Buy Cheap Poe currency,Poe Exalted Orb,Chaos Orb Large Stock and Delivery Fast on mobile! You can find various of unique PoE Maps, PoE Orbs and PoE Gems. Also, you can see the hundreds of PoE Currency here. We know that most of the players do not need all the items at the same time because it is not difficult to get some of them. But Poecurrencybuy has all of them, and you can get those which are hard to get. Some players the items they need cannot be traded? NO! They can be traded; we just need to join the party and then we can give them to you face to face. Poecurrencybuy has the massive collection of most of the common and special items, the stock of them is always big. For example, we have Exalted, Chaos, Jeweller’s Orb, Orb of Fusing and Regret. You can also get discount packs which can save you about 5-20%, those packs usually contains Exalted, Chaos and Divine Orbs. 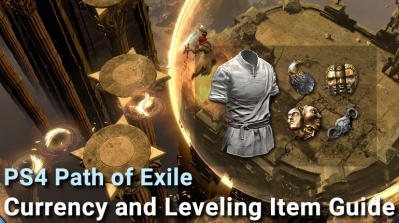 And we also check frequently and add the new packs time by time with the update of Path of Exile Patch. 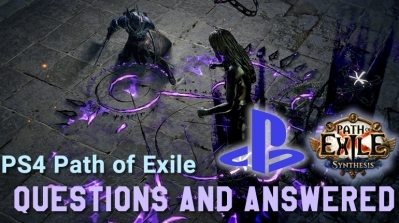 GGG officially released the PS4 version of the Path of Exile on March 26 2019. This free rpg game not only attracted a large number of old players, but also successfully won many new ps4 players. 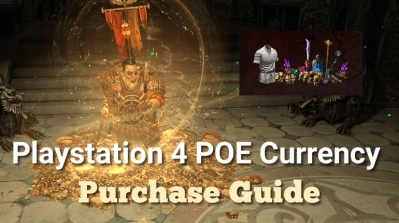 If you want to buy ps4 poe currency, Poecurrencybuy is your best choice ! 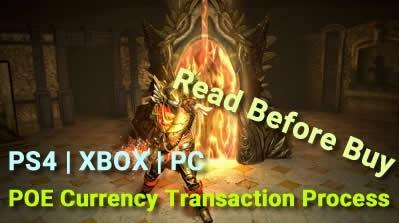 With the approach of the PoE PS4 version, many players are concerned about the PS4 version of the news, such as release time, game size, performance and other issues. GGG answers these questions one by one, let's take a look!